EDIT: Since writing this post, I created a free workbook to go along with it. 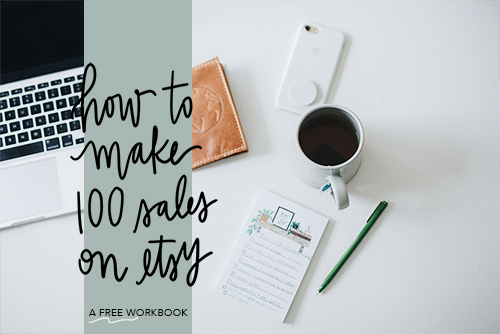 It's packed with even more insight and workbook pages to help you make your first 100 sales on Etsy! Get it here! The 100 sale milestone is the first domino in a chain reaction to growing your Etsy shop. 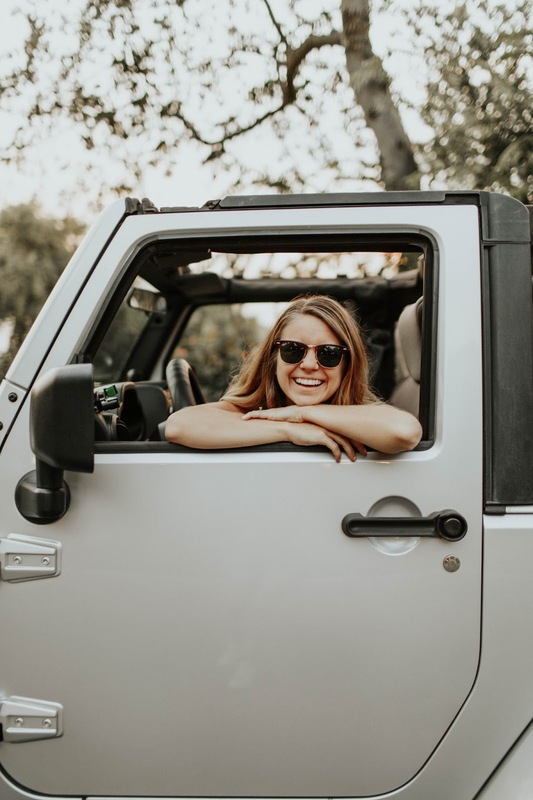 Gaining the momentum to get to 100 sales can seem like a slow journey, but it is totally possible and may be easier than you think! 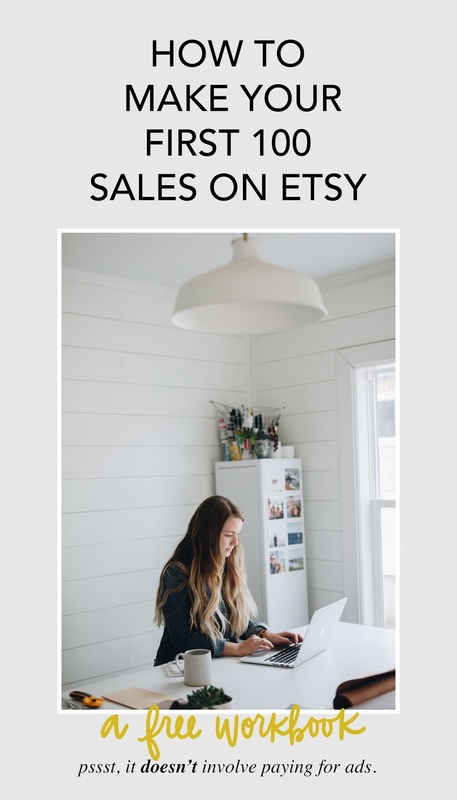 You don't even need a large social following, actually you don't even need one to make consistent sales on Etsy. It's easy to fall into a trap of focusing on your marketing instead of your shop so today I'm only focusing on the health of your shop so you build a strong foundation in your first 100 sales. Read to the end to hear some advice from fellow Etsy sellers! Just a note: this won't happen overnight. The month and season plays a huge part in sales due to holidays, peak shopping seasons and what type of product you are offering. So give yourself time to make some changes to your shop and give those changes time to take root. These are all tips on laying the foundation because when that is laid, everything else can be built well on top! Read to the end to hear some advice from fellow Etsy sellers! 1. Narrow Down Your Niche - I opened my first shop with 5-10 different types of products that had no relation to one another. Once I made a few sales it was clear that leather travel accessories were a hit and resonated with people. This gave me clear direction to remove every other product and focus on leather travel accessories. Now, people who come across my shop know I specialize in leather travel accessories and this builds trust with potential customers. A niche is a specialized market focus and gives you an authority in a specific area. When people know you make organic soap from goats milk, every time they hear about soap they'll think of you and your shop. The more specific the niche, the easier it is to stand out in the market. Every time I mention I make personalized leather travel accessories people usually reply with "wow, thats specific, I've never heard of that!" But then when they hear that their niece is traveling to Greece next summer, they usually remember our short conversation and it results in a sale! A specific niche will also keep your shop clean and help customers find what they're looking for. You don't have to have your narrow niche right away (remember, I started with 5-10 different types) but when you find something that is working for both you and the customer, stick with it and narrow it down! If you're wondering how to keep a narrow niche, good place to start is either the item + color/pattern variations OR material + item variations. For example: item + color/pattern variation could be comfortable bedding offered in soft hues and floral patterns. Material + item variations would be 100% merino wool offered as different home items like pillows, wall hangings and blankets. Niche markets can be anything from home decor goods to organic cotton baby clothes, but see how there is an overarching theme? That is your goal! 2. Clear, Bright, Photos - It is no secret that photos make the sale. Photos can be what you make them, but the best thing is to keep them simple and clear and focused on the product (see #4). Photos are the first thing that will attract your customer and will tell more than words in your description will. Even if you're using an iPhone, you can take great photos. Don't forget to use natural light, a clear background and show details. If you need help with this, don't be afraid to ask a friend or hire a professional! *Look at bonus tip #2 below for a great idea of having Etsy feature your products based on photography! 3. Descriptive Titles - This tip I could not stress enough because this is how your product gets found on Etsy search. You can not use a short, cute but uninformative title for your products on Etsy. If you do, your products will not be found...I promise! The difference is example number two is packed with SEO-friendly information that tells the search engine that your product is perfect for the customer looking for a tote bag. Example number one doesn't say anything except your product is a bag. Your goal is to think about what you would search if you were looking for this specific product. Write those keywords down on paper and then start plugging them into the search engine on Etsy. See what other words come up, this means they are popular searches and if they fit your product you should add them to your list! 4. Focus On Your Product - Really, this should be what you do before you open your shop but it is worth mentioning here. It is easy to focus on marketing, promoting, and new things for your shop but the number one thing is the product. If you don't have a great product, your shop can't grow far. So if you're struggling on making it to 100 sales, maybe it is time to take an honest look and evaluation at your product. Maybe the photos don't do it justice or maybe it is a seasonal item. When you have a great product plus descriptive titles, clear photos and a narrow niche the sales will come! When you've reached 100 sales, CELEBRATE! This is a big deal, as is every sale, so don't forget to celebrate along the way! I'd love to hear your thoughts on what has or hasn't worked for you on Etsy. Share below your journey so we can walk through this together! How exciting, Vivian! All the best to you, please reach out with any questions!